Manchester by the Sea is opening in theaters across the U.S. starting today (it opens in Dallas/FW November 25th). It’s already getting rave reviews from the critics and has been selected as an Official Selection for several film festivals such as the 2016 New York and Sundance Film Festivals. The movie is also getting lots of Oscar buzz for Best Picture and Best Actor for Casey Affleck who gives his best performance of his career. I believe it could earn Oscar nominations in several categories, it’s that good. Synposis: In Manchester by the Sea, the latest film from award-winning writer and director Kenneth Lonergan, the life of a solitary Boston janitor, Lee Chandler (Casey Affleck) is transformed when he returns to his hometown to take care of his teenage nephew. 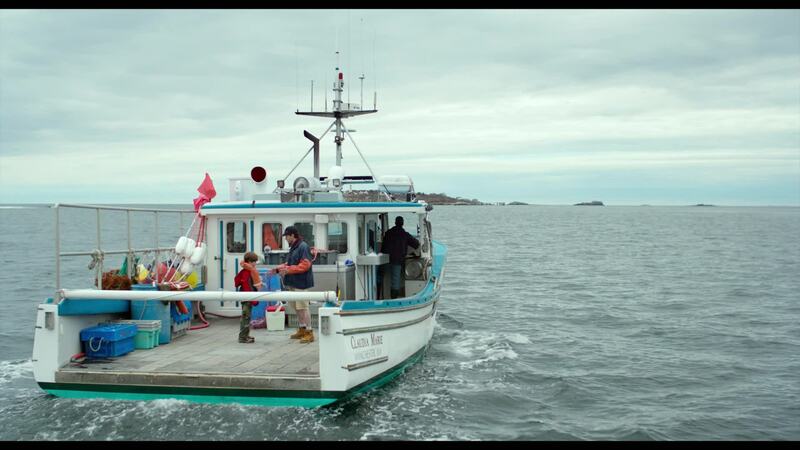 The story of the Chandlers, a working-class family living in a Massachusetts fishing village for generations, Manchester by the Sea is a deeply poignant, unexpectedly funny exploration of the power of familial love, community, sacrifice and hope. 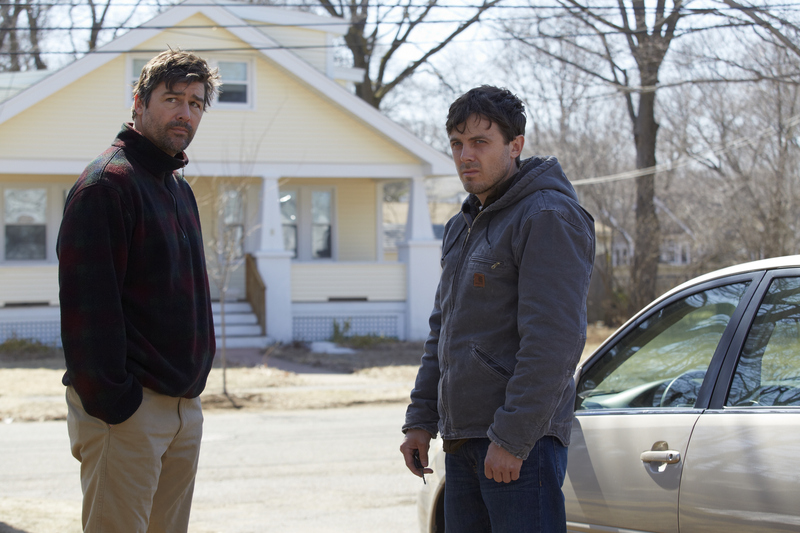 After the death of his older brother Joe (Kyle Chandler), Lee is shocked to learn that Joe has made him sole guardian of his nephew Patrick (Lucas Hedges). 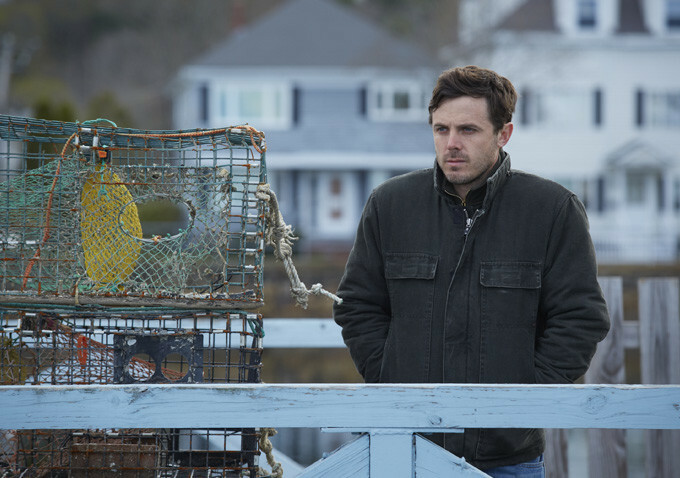 Lee reluctantly returns to Manchester by the Sea to care for Patrick, a spirited 16 year-old, and is forced to deal with a past that separated him from his ex-wife Randi (Michelle Williams) and the community where he grew up. With the father and brother who bonded them together as a family no longer alive, Lee and Patrick struggle to adjust to a world without him. The film is moving, thought provoking, raw, and film at its best. It’s also probably one of the saddest movies you will see this season topped off with a big dose of reality. It’s a very honest study of human grief and how the human spirit strives to overcome it. The film also examines the Chandler Family and their long history of difficult but strong relationships through masterful flashbacks. The relationships and dialogue seem so real that at times you feel like you’re actually watching a documentary. But at the heart of the story is the unconditional love that they share for each other. Casey Affleck gives a superb performance as Lee. He’s consumed with grief, guilt, and loss and he will break your heart with his sad eyes and thin voice. Michelle Williams doesn’t disappoint in her small but poignant and heart rending role as Lee’s ex-wife. 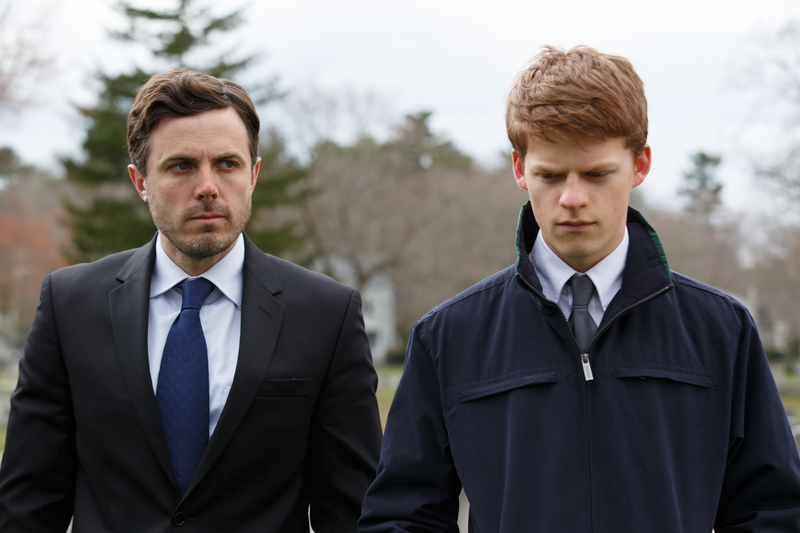 Lucas Hedges as the teenage nephew is a young actor to keep an eye on. His rebellious teenage character is both endearing and exasperating. His subtle sense of humor is a delight and his interactions with his uncle are both touching and funny. The bleak winter New England seaside setting of Manchester by the Sea brings a poetic statement to every scene and you will be thinking about Manchester by the Sea long after you see it. It’s a beautifully made film and one of the best I’ve seen in quite awhile. AMAZON STUDIOS AND ROADSIDE ATTRACTIONS RELEASE THE FILM STARTING NOVEMBER 18TH IN NEW YORK AND LOS ANGELES AND ROLLING OUT INTO THEATERS ACROSS THE COUNTRY.